Wednesday. U.S. Senator Doug Jones (D-Alabama) praised the decision by the International Trade Commission (ITC) to halt the tariffs on newsprint from Canada imposed by the Trump Administration earlier this year. Senator Jones has consistently fought against these tariffs due to what he claims are the significant impacts they have had on small community newspapers throughout Alabama and the United States. The tariffs were initially imposed in response to a complaint to the U.S. Department of Commerce made by a hedge fund-owned paper manufacturer, North Pacific Paper Company (NORPAC), in Washington State, that claimed that Canadian government subsidies allowed their producers to sell newsprint at unfairly low prices. In April, Senator Jones wrote a letter to U.S. Department of Commerce Secretary Wilbur Ross calling for an end to the tariffs, and he cosponsored bipartisan legislation to suspend the tariffs while the Commerce Department examined the impacts of the tariffs on the printing and publishing industry. Sen. Jones even testified at a hearing of the ITC on this issue. Jones testified that there would be devastating consequences for newspapers, particularly those that operate in small or rural communities, if the tariffs remained in place. 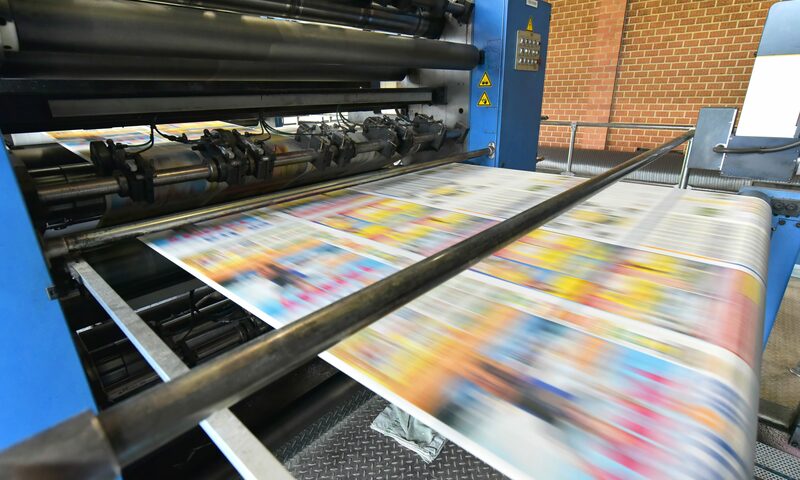 Canadian newsprint producers began paying six percent more to export their products to the U.S. in January after the Commerce Department investigation concluded that would help offset the foreign paper mills’ advantage over American companies. In March, the tariff was increased by another 22 percent. The United States and Canada are in intense negotiations to renegotiate the North American Free Trade Agreement. This decision by the ITC is a setback for the Trump Administration’s trade policies. Local newspapers however will be able to buy their Canadian newsprint without paying the tariff. Doug Jones was elected to the Senate in a special election on December 12 over GOP nominee former Chief Justice Roy Moore.